New “Angel 911” Guided Meditation with Archangel Michael! In this new guided angel meditation, Archangel Michael directly connects along with Archangel Raphael, Uriel, Gabriel, Haniel, Metatron and your team of spirit guides and angels. As you simply listen, your angels will directly connect with you and guide you to focus their help and assistance into any area of your life. 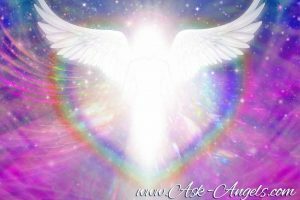 You will be wrapped in angelic love and assisted in calming and uplifting your energy as you are protected and supported in this very moment here and now. You'll also experience an incredible cleansing of old patterns, thoughts, and energy to empower positive manifestations in your life. This angel message is perfect to listen to if you're feeling overwhelmed, stressed, confused or anytime you want a complete infusion of angelic love and help in your life. At just over 11 minutes it's short and sweet, but absolutely incredible in it's power to quickly clear and uplift your energy, and to help you to positively shift your vibration and your point of attraction, bringing angelic help into your life right now! I've already enjoyed listening to this meditation a few times, and I know it's one you're going to enjoy listening to time and time again. My name is Aimee Adesso and I need your help especially Michael’s help and I lost something and I can’t get it back and I need some help I always needed some help and I am dying here on earth! I have been alone and I deserve love,peace, forgiveness, and I need my powers back I need Michael’s fire and protection! I am under demonic attack and the devil was messing with my head! Please help me! I am asking the angels to help my daughter find her soulmate . She has been alone for 12 years now and deserves to know true love and peace. Please help my daughter to find the love she so much deserves. ., she is getting older, and I fear that she will always be alone. I am the only family that she has, next to her two daughters who are now moving on with their lives. I too am getting older and If I should die, she will have no one. She needs and deserves her soulmate. She is a great mother and a great woman who is God fearing, God loving and takes care of herself. Please Angels, surround my daughter and guide her to her perfect soulmate..
As I was walking in the supermarket, a blue butterfly landed on my shoe and it wouldn’t leave, the butterfly were the same colour as my shoes. I felt afraid that someone might stand on the butterfly as it was on the floor. I would like to know the meaning of this? During that time I did ask my Angel for a sign. I know feel that but I can’t believe it.. How is possible that one..
Can you help me to connect to my angels.